With summertime well and truly over and showing no signs of returning until next year, we have picked some of our favourite fun and cool exercises, that will not only look great on Instagram, but could also help make working out far more enjoyable in the wintery months. Before you get started you need to make sure you’ve picked a killer board, something vibrant and a bit edgy to make a real statement! It is unbeknown to many that skateboarding can be quite an intense cardio workout and it’s even more impressive that skating on flat surface can burn between eight to 12 calories in a single minute. It also helps to develop the hamstrings, glutes, quads, lower back, as well as your abs, which is a real bonus. Who to follow: Riley Hawk, the 24-year old son of professional skateboarder Tony Hawk, who followed in his father’s footsteps and has also carved out his own successful skateboarding career. This 90-minute class is designed to put any aspiring acrobats core and flexibility to the ultimate test as they attempt working out whilst suspended in mid-air. The circular steel ring referred to as the Aerial Hoop is an extremely dynamic apparatus and provides a brilliant stepping stone to experiment with spinning, transitions and fluid movements. There is a limit of seven people per instructor so you could become a pro in no time at all. Who to follow: Aerial dance artist Leyla Rees, who has impressively been training since the age of eight in dance, circus and classical music. Run by Sweat by BXR, is part of an exhilarating programme of classes, which cover the three core disciplines of boxing and athletic training: cardio, strength & conditioning and skills. There are 21 Versaclimbers in the studio, which give you a total full body workout, focusing on the shoulders, back, glutes, hamstrings and calves. It’s zero impact too, so it can also help you avoid injury or maintain fitness levels during recovery. Who to follow: For some extra fitness motivation and work out inspired quotes, check out both BXR’s and Versaclimbers pages. Yoga fans and cat owners should dig out their yoga mats and try out this quirky exercise routine. This combines all the usual best practices of yoga, strength, flexibility and breathing, to help heighten your physical and mental wellbeing but also includes involving your furry friend in some of the stretches too. It can be tempting and easy to get a little distracted by wanting to recreate the infamous Simba scene from The Lion King. Who to follow: Take a peak at yoga enthusiasts Krista Donna’s instagram page, she is able to master and showcase some pretty impressive yoga positions and we’re big fans of her cats too! If you enjoy strutting your stuff on the dance floor and having a good time, Seen on Screen could be just for you. 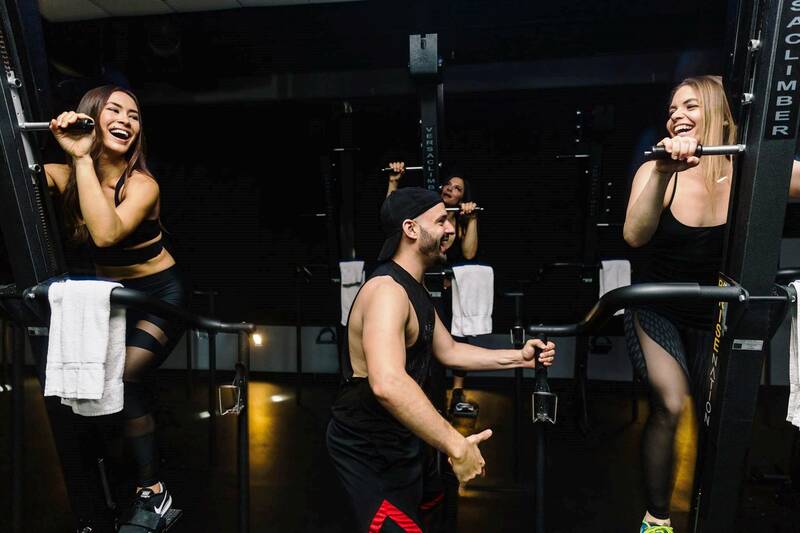 It runs around 80 classes a month, for dancers of a variety of abilities and music tastes, such as hip hop, ballet barre, current chart hits and the fabulously named ‘sass sessions’. It also gives the option of online courses too, for those that don’t feel brave enough to throw some shapes in public. Who to follow: If you’re after a sneak peak of what you could be doing at Seen on Screen Fitness, its instagram should help to satisfy some of your curiosity! We can’t guarantee if won’t make you want to have a bit of a dance though.